Even if it is intentional, it seems questionable at best. You are at the mercy of random chance (or at least the skills of an NPC) rather than anything skill based. But I am not convinced that it is intentional. That kind of design is counter-intuitive with respect to the rest of the game. Also it seems more prone to certain gigs than others, and the second chair solution that works for some likewise suggests a bug. Steps: How can we find the bug ourselves? I dont know! What happens when the bug occurs? My sims can not do any tasks in the acting career, makeup doesnt work. What do you expect to see? I want the tasks to check off once I perform them. I want the makeup chair to work and get my sim dressed for their performance . This is honestly ridicuous. To pay so much money for a glitched out, non working game and then their return policy is downright paltry. I merged your post with the make issue thread but I'm not sure if your report is about all interactions or just the makeup/hair. I havent had any further issues since I did the reset sim cheat when it wouldn’t fix her hair/makeup after 4 times of trying to get it to work. So far it has worked consistently if I pause the game for about a minute or so on arriving on set without doing anything else. That might be coincidence though. I could just be lucky or it could be just the earlier gigs suffer the problem. Oh and to answer another question that came up, for my part I am using no mods. Just started seeing this in my game as well. Whenever either of them fail, instead of trying again while still on the stand/in the seat, my Sim will get off the stand/get out of the seat and I have to click on them and start the whole interaction over again. This eats up a LOT of time when they continuously fail. mods/cc get outdated with patches. That's how it works. Mods that were created of a certain patch don't necessarily work with another cause they are build on a different code than the one you're running after updating the game. You need to check your mods/cc after each patch and check if the creator has updated. You don't need to remove it for good. You need to remove it to check if the game runs fine to make sure it's not a mod conflict. After that you can start putting your stuff back but make sure you always use the current version. 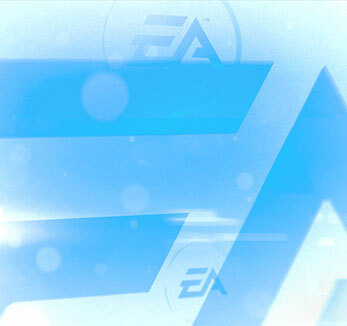 Mods/CC are not supported by EA and you use them at your own risk. And the rest of us playing without mods and nevertheless seeing what seems to be the same problem? I also experience this bug ("bug"?). My Sim goes to make-up/hair and is not satisfied the first 2-3 times, so I have to re-initiate the action. It's definitely a bit stressful when you have a set amount of time to finish the day's tasks. It also doesn't make sense that a professional make-up artist wouldn't know what to do on an actor for a specific gig. It's not up to the actor to decide. As a side note, I think it's also strange that my Sim's original skincolour and hair texture can change so drastically for a role.